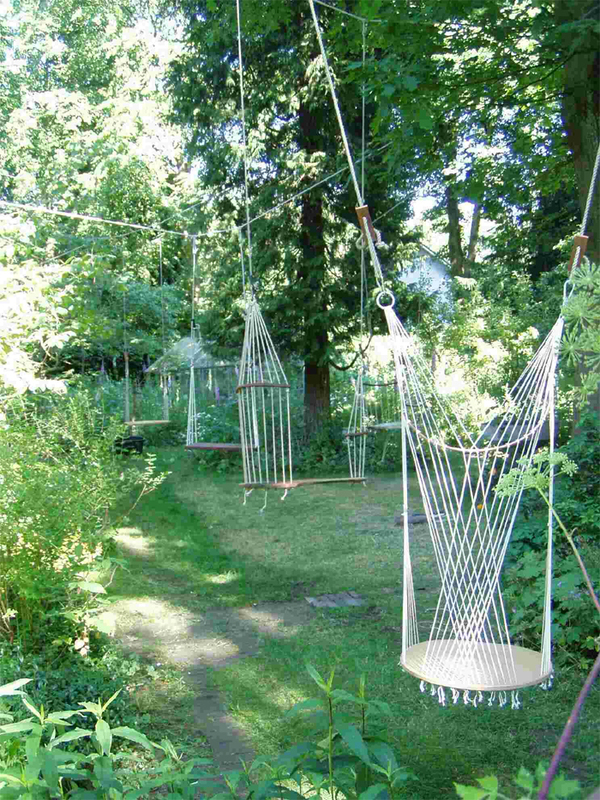 Art and play: can art be a playground? 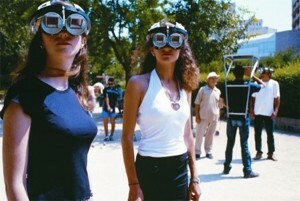 I’m starting my research by blogging about artworks that are also playgrounds, or can be seen as such. Looking at these examples set side-by-side I hope to get a ‘feel’ for art-as-a-playground. This is the first one that came to mind: Carsten Holler installing large slides at the turbine hall of the Tate Modern from October ’06 till April ’07: “Test Site”. Holler quotes french writer Roger Caillois, who described the experience of sliding as a ‘voluptuous panic upon an otherwise lucid mind’. The slides are sculptures in their own right, you don’t have to slide down in them to appreciate this work of art. What interests Höller is both the visual spectacle of watching people sliding and the ‘inner spectacle’ experienced by the sliders themselves, the state of simultaneous delight and anxiety that you enter as you descend. 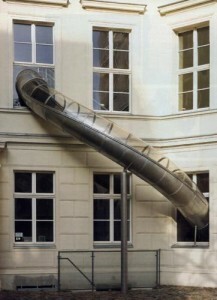 Holler also maintains that slides can help combat stress and depression. To date Höller has installed a number of smaller slides in other galleries and museums, but the enormous space of the Turbine Hall offered a unique setting in which to test and extend his vision. For, as the title implies, he sees it as a prototype for an even larger enterprise, in which slides could be introduced across London. How does a daily dose of sliding affect the way we perceive the world? Can slides become part of our architecture and – by extension – our life? 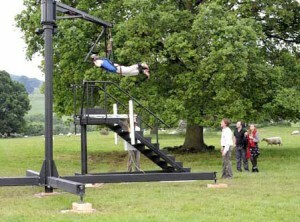 Höller has executed many projects that invite visitor interaction, such as Flying Machine (1996) that hoists the user through the air, Upside-Down Goggles (1994/2001) that modify vision, and Frisbee House (2000), a room full of Frisbees. 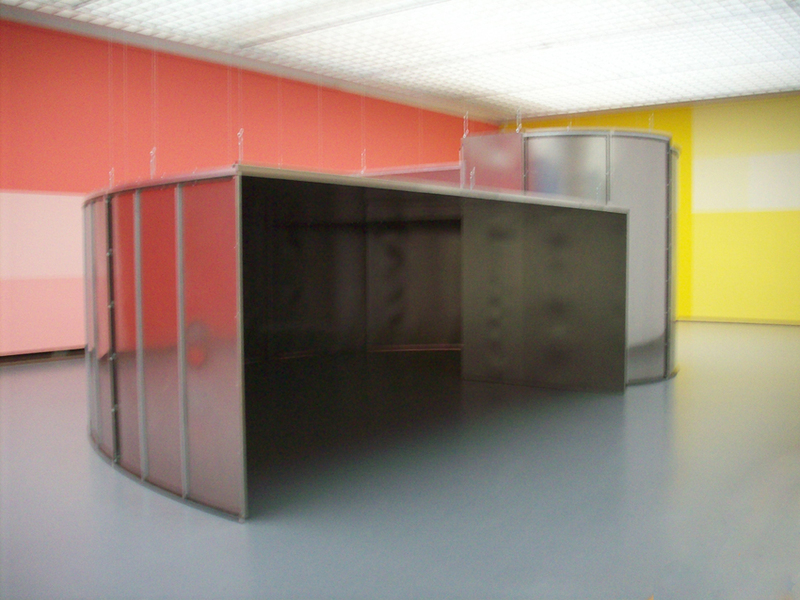 The slides, like these earlier works, question human behaviour, perception and logic, offering the possibility for self-exploration in the process. This is Holler’s slide at the Sao Paulo biennale 2008. Ana Paula Cohen: The slide is a project you have developed in different exhibition / architectonic contexts since 1998. How do you believe this new version and its relation to the Bienal pavilion and / or the Brazilian local audience can open new dynamics and experiences for your research on this matter? Carsten Höller: I should say I don’t do research, but I am providing the possibility for people to do research on themselves – I think this is an important difference. 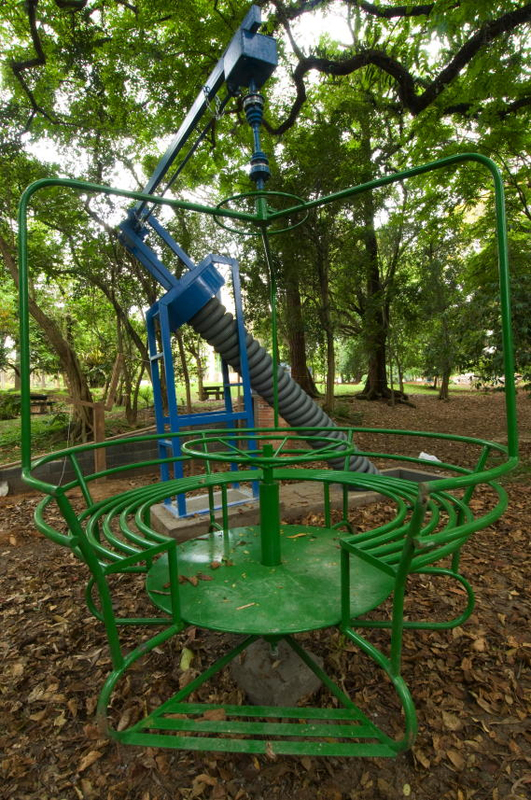 At the same time, I am asking very straightforwardly the question why we are not using slides as a means of transportation, why is it only in amusement parks and on playgrounds for children that we find slides, but not in “serious” architecture? Slides are fast, safe, and comparatively inexpensive, but they are doing something to the user which is specific to the slide, and which is what I meant before when speaking about doing research on oneself: they introduce a moment of madness, “a voluptuous panic upon an otherwise lucid mind” as Roger Caillois has put it (speaking about vertigo). Ana Paula Cohen: The idea of “providing the possibility for people to do research on themselves” is fundamental to the concept of the 28th Bienal de São Paulo, which has posed for itself the question of how to involve the audience as part of a network for production of knowledge and research constituted in the process of an event like this – opening space for a more active way of relating to an art exhibition, through strategies often proposed by the artists themselves. In this sense, can you talk about the convergence of the notions of Function and Fun in an art project like yours? 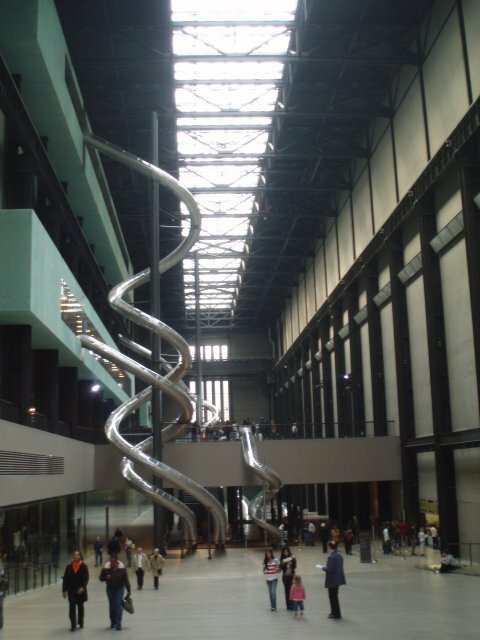 Carsten Höller: Function I have outlined before, the slides are simply a good means of transportation of people from a higher to a lower point. But fun, that’s a more tricky thing, more eerie, spooky, parasitic, incomprehensible by its very nature, like an alien living inside me making me do this but not that depending on how much fun I can expect from my decision, if it is a conscious decision at all. Fun is an internal currency which is exchanged between a more body-carrier kind of I and some more autonomous, free spirited, hard-to-reach kind of I. It makes the “conscious me” do things that really don’t fit in the “conscious me” concept. Even though the two might be inseparable, I have experienced the slide as a good tool to at last be able to stare in the face of fun. Ana Paula Cohen: We have talked before about an international contemporary art system that has recently become comparable to some mainstream events, such as huge music festivals or the industry of entertainment movies. Considering that your work is somehow part of that system, how do you believe we can make a change in that logic of consumption from the inside? Carsten Höller: No way, I am afraid, it’s too late… However, you are right to hint at the fact that the slides and other “fun-related” works that I have made (for instance the Amusement Park Rides) reflect upon the mainstreamed character of contemporary art events nowadays. I mean, there is not one flight magazine, to name one example, that you can open without having an article about an artist or a museum or the like; it has become commonplace and it was clearly not like this some 10 or 15 years ago. I don’t think this is regrettable as such, but I really think it is time to move artistic ideas out of a context where they function more for the tourist industry, including the tourism of attitudes, and into a closer-to-life situation where they can develop full power again because they are not easily discernible as such – in other words, to apply them to life rather than extract them from life and thereby make them impotent, empty, mainstream rituals. Ana Paula Cohen is an independent curator, editor and art critic. She is presently the curator of the 28th Bienal de São Paulo. Lives in São Paulo.